Detachment: Finding Freedom in Daily Life ~ by Gabriella Kortsch, Ph.D. Both what you want and what you believe you need has the power to make your life miserable if you aren’t able to get it. Wanting something and going after it with all your might is part and parcel of what we talk about when we refer to motivation and inspiration. Gandhi wanted peace. Martin Luther King Jr. wanted equality and civil rights. But what if someone wants to be important? Or feels they need to have a certain amount of money in a bank account or stock portfolio? Or wants to look young? Or believes he/she needs to have an alphabet soup of letters after their name in order to be considered important? As you can see, some of these examples depend on events happening in your professional or personal life, and others depend on having sufficient funds in order to be able to afford something. What they all depend on, is that something external to you has to be this way or that. What they all imply in your way of thinking, is that your happiness depends on them. So what happens to you if they don’t come to pass? Does your energy become affected by not achieving any of these goals? Do you postpone that ‘need’ or desire, telling yourself you will manage to get it later, and then be happy? The Buddha said: The root of suffering is attachment. Or do you begin to recognize that the decision to separate yourself from needs that determine (according to you) how well you feel, may be your wisest course of action? Separating yourself from needs does not mean never having, getting, or achieving anything. But it does mean that you separate yourself – you distance yourself – in other words, you detach yourself from the need of the having, getting, or achieving. 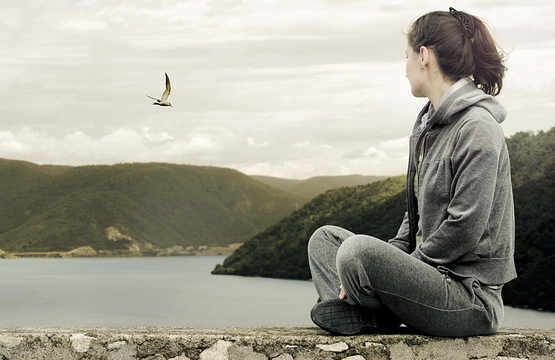 Simply being aware of detachment being a brilliant, healthy, and wise alternative to needing, already takes you far down the path to achieving such a state of mind – a state of detachment, in other words. Ali Ibn Abi Talib said: Detachment is not that you should own nothing, but that nothing should own you. You see, if you are detached, the having, getting, or achieving simply have no power over you. Hence your inner state of mind will always be at peace, whether you have, get, or achieve, or you don’t. Being detached is the goal of many spiritual disciplines, and many people misunderstand it to mean that they must lead a stoic life of deprivation. Nothing could be further from the truth. While it is true that some paths do lead down such a road, simply determining to live with detachment does not mean that you have to be stoic or deprive yourself at all. Gandhi said: A burning passion coupled with absolute detachment is the key to all success. Think of it like this: imagine you want/need to improve that difficult relationship. Or you want/need that vacation to Bali. Or you want/need to be considered successful in the eyes of certain people. As you begin to recognize that this is a need you that you perceive internally as being essential to your happiness or well-being, you already find yourself in the initial phase of detaching yourself from such a need, because you are aware of it. So a good idea is to change some of your self-dialogue. Consciously. You might say to yourself that you acknowledge that you believe you have this need, but it’s not necessarily fully in your hands. So rather than focusing on the need, and the how to get it, or achieve it, you can focus on the thought that you are more interested in being detached from the need. As said, that doesn’t mean you shouldn’t attempt to achieve it. It simply means your focus is on not being attached to the need. This may seem like a very fine line, but it is a fine line that can make all the difference to your inner state of mind, and above all, to your inner sense of peace, harmony, balance, and well-being. Making it a reality implies being conscious of your needs or wants, changing your self-dialogue about it, doing this consistently and thereby creating new neural pathways associated with how you react in the face of needs and wants, in order to move yourself to a place where you observe that you are capable of detachment. And being detached gives you freedom. Meister Eckhart said: He who would be serene and pure needs but one thing, detachment.